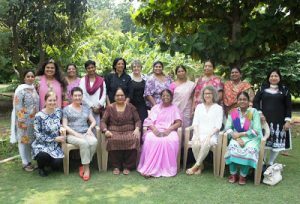 Strengthening women’s networking to promote gender justice,revitalizing women’s ecumenical movement to enhance Church unity is one of the main mission of All India Council of Christian Women.The International Anglican Women’s Network (IAWN) South Asia region met in in Henry Martyn Institute in Hyderabad from 6th -8th October 2015. A Conference for South Asian women leaders was organized by IAWN where 17 key women leaders from Church of South India, Church of North India, Church of Bangladesh, Church of Ceylon met. 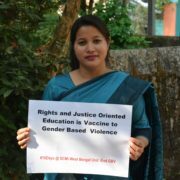 Women strategized to promote gender justice in the South Asia region. They shared how women in these churches are promoting justice and peace irrespective of challenges. 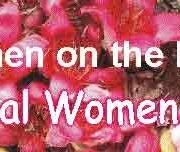 CSI and CNI Women’s Fellowships are also member Churches of AICCW. 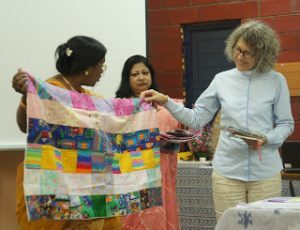 Ms Moumita Biswas Executive Secretary was invited by IAWN to represent AICCW and facilitate contextual Bible studies using South Asian Women’s hermeneutics to re-read the Bible. There were discussions with Revd Terrie Robinson- Director for Women in Church and Society of Anglican Communion and other members of the IAWN regarding how the networking can be further enhanced with AICCW. During the conference Ms Moumita Biswas shared about AICCW’s campaign 365 Days Zero Tolerance to Gender Based Violence which is ushered in partnership of member churches of National Council of Churches, AICCW and women’s fellowships. Women leaders shared how this campaign is being promoted in their churches by women’s fellowships. 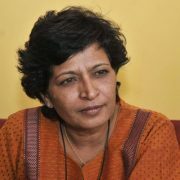 According to Ann Skamp IAWN Steering Group Convener “It celebrated the resilience of women in the region and enabled mutual encouragement and a commitment to support each other.Participants in the consultation shared positive stories about the enabling of women’s leadership within the Churches of South Asia and in their communities and also challenges. Revd Terrie Robinson shared about the need to need to document stories of church women and how they are weaving justice and peace. Such stories of hope can be shared with other member churches of Anglican communion. Rt. 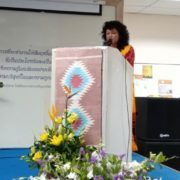 Rev Dr G. Dyvasirvadam, Moderator of CSI inaugurated the conference. Mrs Ramani Dyvasirvadam- Chairperson of Commission on Dalits and Tribals NCCI ,Ms Cynthia Rani Chopra- General Secretary CSI Women’s Fellowship, Mrs Susan Thomas, Mrs Neerja Pasad – Treasurer of AICCW also participated in this conference. The South Asian women shared stories of how they are engaged in prophetic ministry irrespective of challenges and strategized to promote gender justice..
NCCI appreciates the ban removal on Bastar Panchayat NCCI MOURNS THE LOSS OF ITS PRESIDENT, BISHOP DR. TARANATH S. SAGAR.